What do fair trade chocolate, eco-clothing, and cruelty-free mascara have in common? A more conscientious life, and a happier, healthier planet. 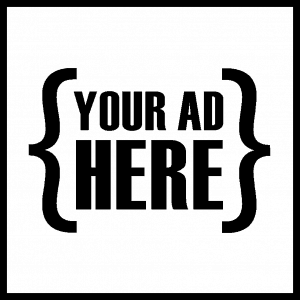 Consumers are driving what we see on grocery shelves, what we wear, and of course what we put in our mouths. For those of us who eat animals, there is a trend that maximizes an animal’s life, health and death experience. The idea is that a happy pig makes better bacon. The latest discovery is that crustaceans have feelings too, and since they are tossed in a pot of boiling water, alive! the question arises, can this be done humanely? 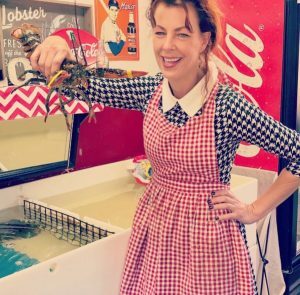 Charlotte Gill, of Charlotte’s Legendary Lobster Pound, Southwest Harbor Maine, is setting a new precedent: marijuana sedated lobsters. During an interview for the TODAY show, Gill states that after rigorous testing, the vape-sedated creatures are, well, less crabby. The stoned-lobster idea has gone quite viral, grabbing media attention from Foxnews, CBC, and Huffington Post, all the way across the pond to the United Kingdom with features on BBC and the Independent, as this is truly a novel idea in the restaurant and meat industry. “Life is Sacred.” If you are going to take a life, may it be with honor and in the most gentle, humane way possible. How can anyone argue with that? Which prompts further questions, can lobsters even get high? And can this technique possibly change the entire meat industry in how animals are processed? You bet! All mammals, including cows, and pigs have endocannabinoid receptors. This means that they will respond to certain marijuana strains that are naturally sedative. Some species like dogs, (and I am not implying that they are a food source) are much more sensitive to THC, so if you want to keep your pup alive, keep them away from cannabis, chocolate, and especially cannabis chocolates. Birds, including chickens, ducks and pigeons also have CB1 and CB2 receptors, which means that poultry could be culled more serenely after a dose of “hippie chicken” or “popcorn kush.” As we move down the food chain to crustaceans, scientific studies reveal that they too have an endocannabinoid system. With this piece of scientific evidence, Charlotte realized that the stoned lobster effect is not observer bias, but a real phenomena. Of course this kind of food-pioneering comes with certain hiccups. The Maine health department visited her restaurant recently citing laws and regulations in hopes of shutting her down, but she preempted this regulatory onslaught. Charlotte’s gentler cooked lobsters are set to be served up legally in mid-October this year. Even though it seems like a novelty that should come with an appropriately boosted price tag, “We are keeping the price the same,” notes Charlotte. Every lobster prepared in their restaurant will have gone through their novel sedation procedure. For those wondering whether they could get high off of the meat, note that no psychoactive THC was found in people who consumed these groovy crustaceans. That said “regularly cooked” lobsters will be available from outside vendors at her restaurant. 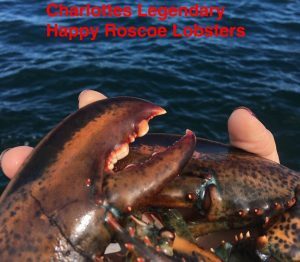 One of Charlotte’s whole cooked lobsters can be yours starting at ~$15, depending on its size and availability, as they range from 1.5-5 lbs. 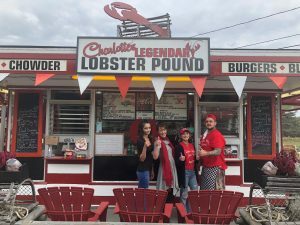 Eventually Charlotte hopes to retail cannabis-sedated picked lobster on a national level so that you don’t need to stop by her store in Maine to enjoy this ethically produced meat. Unless of course someone can convince her to set up a shop on the West coast ? Hollywood would gladly support such a humane culinary novelty. Kuddos to Charlotte for going out on this limb. Canna-lobster (can a lobster) revolutionize the meat industry. Why not?